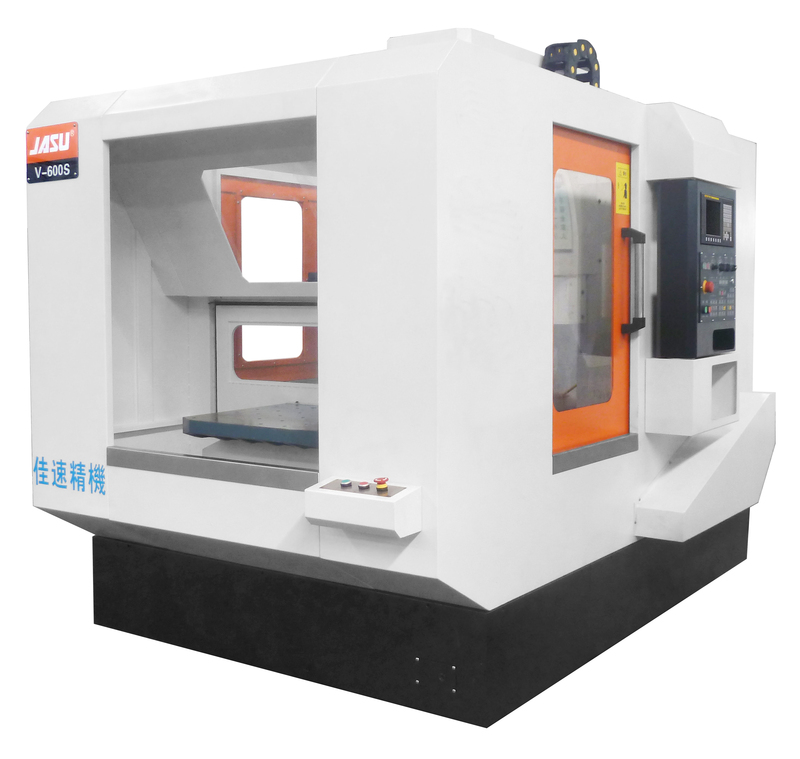 V-600S is a vertical machining center with a 2 fixed index table. Machine body is designed by FEA, obtaining high rigidity and stability. Machine frame adopts moving column and moving beam structure.3 axes make constant-mass linear motion, so machine can maintain high precision. 3 axes are equipped with roller type linear guides for heavy duty cutting. Large diameter ballscrews ensure precision and stable positioning motion. Pallet changer saves workpice clamping and unclamping time. V-600S Machining Center casting frame adopts inoculated cast iron, internal stress eliminated by aging treatment. Box shape structure with internal reinforced symmetrical ribs make obtains a rigig machine body. Precision ballscrews installed for 3 axes are preloaded, which can sustain high precision in long term machining. 7. Controller: Advanced Fanuc, Mitsubishi and GSK controller for your choice.